Glen is a Distinguished Professor and the John Muir Memorial Chair in Geography at UCLA. He holds an AB in Geography from UC Berkeley, M.Sc. in Geography from the University of Calgary and a Ph.D. in Botany with a Geology Minor from the University of Toronto. He works on issues of long-term climatic and environmental change and the impacts of such changes on ecosystems, fire, natural resources and human societies. Particular interests include water resources and the Perfect Drought concept, and the fate of coastal marshes and other wetlands in the face of climate change. He also writes on John Muir’s legacy and the creation of a New Environmentalism in the 21st Century. 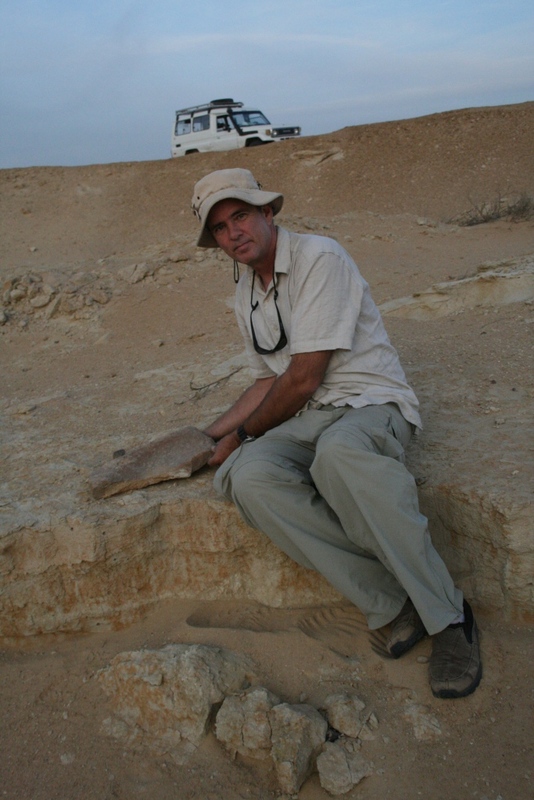 He has published over 160 peer-reviewed articles and an award winning book on biogeography. He has also published Op/Eds in the Los Angeles Times, the San Francisco Chronicle and the Sacramento Bee. Glen is a member of the National Academy of Sciences, a Fellow of the American Academy of Arts and Sciences, Fellow of the American Geophysical Union, Fellow of the American Association for the Advancement of Science, Guggenheim Fellow and was a Visiting Fellow at St. Catherine’s College, Oxford and Clare Hall, Cambridge. Glen MacDonald received his A.B. degree in Geography from UC Berkeley. He received a M.Sc. in Geography from the University of Calgary and a Ph.D. in Botany from the University of Toronto. In the summers he worked with the Geological Survey of Canada in the Subarctic and Arctic. He began his academic career in the Geography Department of McMaster University, Canada and was later appointed an adjunct faculty member in both Biology and Geology. He was also elected a Visiting Fellow at Clare Hall, Cambridge and conducted research in the Botany Department there. In 1995 he relocated to UCLA as a Full Professor in the Department of Geography with a joint appointment in Ecology and Evolutionary Biology. He also served as the Chair of Geography at UCLA. In 2009 he was elected a Visiting Fellow at Saint Catherine’s College at the University of Oxford and subsequently appointed a UC Presidential Chair and Director of the UCLA Institute of the Environment. He became a UCLA Distinguished Professor in 2010. In 2014 he stepped down from the IoES Directorship to become the Inaugural John Muir Memorial Chair of Geography at UCLA. He currently also directs the UC White Mountains Research Station and the UCLA Canadian Studies Program. The focus of Glen’s research is climatic and environmental change and the impact of such changes on ecosystems and humans. He is particularly interested in water resource issues in western North America and the subtropics and in Arctic climate change. He has a strong interest in the geography and history of the North American West including human perception of nature and the environment in this exceptionally diverse region. He has also conducted research in the United States, Canada, Russia, Mali, Mexico, Guatemala, Syria, Egypt and India. In his research Glen MacDonald uses meteorological data and climate models, field surveys, fossil pollen, plant macrofossils, tree-rings, fossil insects, elemental geochemistry, stable isotopes, population genetics and historical documents, artwork and maps. He also has used field surveys, remote sensing and GIS approaches to study modern environmental conditions. In recent years Glen has been interested in the environmental legacy of John Muir andthe challenges of environment and sustainability in the highly urbanized 21st century. He has developed concepts concerning the need for new models and the importance of a “New Environmentalism” that incorporates nature, conservation, human well being and diversity with the city serving as a nexus. These views have appeared in Op/Eds and in Boom: A Journal of California. Glen MacDonald has published over 150 peer-reviewed journal articles. These appear in the top disciplinary and interdisciplinary journals, ranging from Annals of the American Association of Geographers, Ecology, Geology and Geophysical Research Letters to Nature and Science. He has also published an award winning text on biogeography (Biogeography: Time, Space and Life, Wiley). His research has been supported by NSERC, the Royal Society of Canada, PAGES, NSF, the EPA, the DoI, the Guggenheim Foundation, the Rockefeller Foundation and the Marisla Foundation. His honors include election as a Member of the National Academy of Sciences, Fellow of the American Academy of Arts and Sciences, Fellow the American Associaton for the Advancement of Science, Fellow of the American Geophysical Union, a Rockefeller Foundation Bellagio Residency, election as a Guggenheim Fellow, election as President and Vice President of the Association of American Geographers, Chair of the AAAS Geology and Geography Committee, the James J. Parsons Distinguished Career Award by the AAG Biogeography Specialty Group, the University of Helsinki Medal, the Cowles Award for Excellence in Publication by the AAG Biogeography Specialty Group (1999 and again in 2004), and having a paper named as a Top 100 Science Story by Discover magazine. I have also won the McMaster University Award for Teaching Excellence and the UCLA Distinguished Teaching Award. Glen MacDonald is active in the dissemination of information about climate change and environmental change to policy makers and the public. He has made invited presentations to local, state and federal officials in the United States and Canada including testimony for the US Senate Appropriations Committee. He provides frequent public lectures and has appeared in interviews on the NBC National News, NPR, BBC, Discovery Channel, CBC, National Geographic Online, Public Radio local news outlets and was noted in a front page article in the Los Angeles Times (April, 2007). Recent media attention has focused on the concept of the ‘perfect drought’ which he has propounded in relationship to southern California and water resources in southwestern North America . In 2010 the Proceedings of the National Academy of Science (PNAS) published a special sustainability issue on southwest drought and water sustainability which he organized and edited. His Op/Ed pieces have appeared in the Los Angeles Times, the San Francisco Chronicle, the Sacramento Bee and Zocalo. *In 2017-18 Glen’s biological paternal family was revealed to be the Sproul family of New Brunswick and Nova Scotia. He has warm relations with both families and chooses to acknowledge both in his name.